How to look good - 7 tips. Even if you’re losing your hair, you can still find ways to maintain your personal look and sense of style. Styling after hair loss can be a challenge, though; the best choice for you will depend a lot on how much hair you have lost and where you are losing it. What can help nearly anyone is a consultation with a good stylist who can color, cut, and shape your remaining hair to flatter your best features. If you don’t know a good stylist, talk to your dermatologist or hair loss specialist. They can often recommend a hair salon they trust. Read on for tips about things that can make your hair loss look worse. “Spray-on keratin particles and colored powders can provide excellent cover for thinning on the crown and top of scalp where the hair density is low and the scalp shows through the hair,” notes dermatologist Amy McMichael, MD, professor of dermatology at Wake Forest University Baptist Medical Center in Winston-Salem, N.C. For some people, though, this strategy can appear artificial and draw even more attention to hair loss. If you’re looking to change or enhance your hair color, be sure to choose a shade that complements your skin tone. 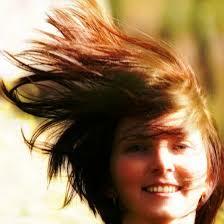 Avoiding hair color shades that are brash or unnatural for your complexion will make hair loss less obvious. “Very few hairpieces look [natural] in men unless they are made of human hair and touched up by a professional stylist regularly,” says Dr. McMichael. This can get pricey, but can also be highly worthwhile. For women, a carefully styled wig, or partial wig (also known as a hair prosthesis) that is made of human hair may be the best option to minimize the appearance of hair loss and regain confidence. Hair extensions in general — good or bad — are unlikely to be of help if you are struggling with hair loss. “Extensions provide length, but most people with hair loss are looking for more coverage,” explains McMichael. Don’t invest money in this kind of hair styling. Instead, find a stylist who can color, cut, and shape the hair you have to your best advantage. Growing a few hairs and then strategically arranging them to cover up a bald spot is like a neon sign pointing out your hair loss. One of the problems with this approach is purely practical. Comb-overs are difficult to keep in place, points out McMichael. A better bet? Lighten up all over. “Hair loss is less noticeable in light-colored hair,” notes hair restoration surgeon William Woessner, MD, director of the Woessner Medical Clinic in New Orleans. The experts agree — hair plugs are passé. "New techniques [that place hair] grafts in the area of hair loss can be spectacular and [much more] realistic," says McMichael. Preliminary findings also suggest that clones may one day put an end to hair loss. In an October 2013 study published online in the Proceedings of the National Academy of Sciences, researchers reported progress on cloning hair cells to make them grow once replanted in the scalp. Everyone throws on a hat or a scarf to cover up a bad hair day, but when every day is a bad hair day, it’s not the most practical or appealing option. If you want a cover-up, opt for a wig. Nowadays, a wide variety of wigs are available. Those made with human hair will give you the most natural look and feel — and can also be styled by a professional. Then you can wear hats for fashion instead of camouflage. Maximizing the hair you still have can make you feel better, but unfortunately, it can also result in a style that highlights your hair loss in other areas. If you do want to encourage hair growth, McMichael notes that “one of the most reliable ways to treat female and male pattern hair loss is with over-the-counter minoxidil solution and foam.” This strategy can take up to nine months to work, though — so in the meantime, get a professional hair cut that makes your hair appear fuller rather than longer.